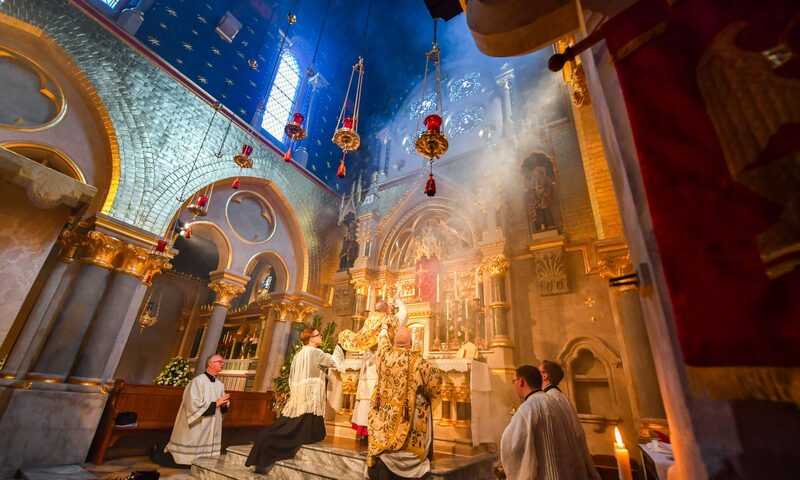 Do you want a Mass offered at Corpus Christi for a particular intention? Perhaps you would like a deceased friend or relative remembered at the altar, or you would like a Mass said for yourself. You can now request Masses online, using the simple form below and make a donation securely online through PayPal. There are also envelopes at the back of the church if you would rather do this in person. The Diocese of Westminster suggests a donation of £10 for a Mass intention, though please feel free to give according to your circumstances. By filling out the form below, you consent to your intention being listed on the Parish Newsletter. If you do not wish anything to appear on the Newsletter, please write “Private Intention” in the Mass intention section. Your contact email/telephone number in case date above is unavailable. By leaving a phone number, you consent to being contacted by phone.